I just can't resist ...Some Vintage hunters are too cool! 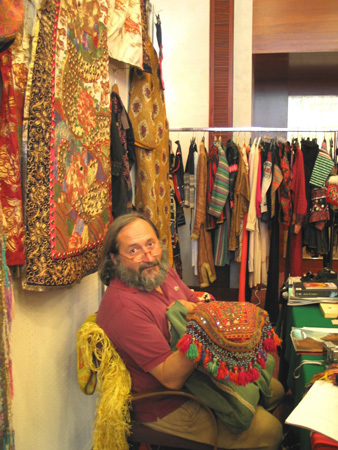 This is Silvio Viarengo of Elizabeth the First, he is a great well informative well documented Vintage dealer, specialized in Antique Ethno and Tribal clothing from central and South-eastern Asia, included Japan. He taught me how to be calm and relaxed even when selling, his "nonchalance" and Zen mood are though unique! 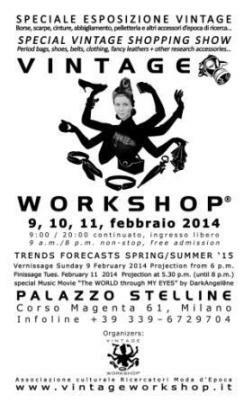 Even in case you are not familiar with Ethno Vintage and you'll have a chance to come to know him in Milano, you could be positively surprised fo fall in love with his research stuff! 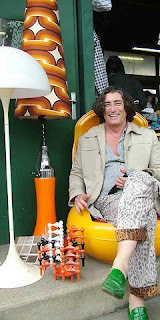 This is Silvio at one Vintage Workshop in 2005, he succeeded in dressing all Vintage exhibitors and some visitors with his caftans! Some of them left the Workshop wearing their favourite bought caftan with their private dressing belongings in a shopper!!! I call him "Babbo Natale" (Santa Claus) and he doesn't seem to like this definition that much. Would he be rather called Moses in this pic? This is Dora Giannetti, the founder of Elizabeth the First, she is a journalist and Vintage dealer, well specialized in classic Vintage as well. Here she is with her pretty young daughter now studing but already modelling for her in some professional photo sections. These have been the Vintage girls of Angela Eupani, owner of Scultpures to Wear, during a summer venue. She just had a look at them and combined their Vintage dresses with some of her one of a kind highly collectable purses. This is the French Vintage hunter and clothing designer Denise Souaifia from Dijon wearing one Jewelled Mario Valentino clutch in Angela's stand at the recent Lyon Fashion Vintage Show. Again Denise with her funny friends in her stand of Vintage clothes. She is a great woman and a great seller, visitors loved pretty much her micro stand that was crowded all the time. Unfortunatelly I don't have any pics of her creations made with all kind of luxury fabrics, in leather and in pony hair. 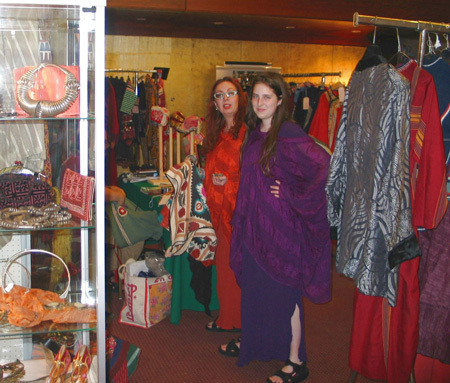 Joanne Perrier (left) und Clementine Pellissier design studens at the first year of the Fashion School ESMOD presenting their own Sixities inspired creations at the Vintage Fashion Lyon Market last May 17th during the Vintage Look hunting competition. Watch up her yellow bracelet purse, too cute! And finally for this chapter 2, Didier Ludot, sit as a real Vintage king on a 70's couch. 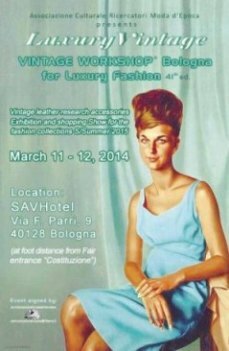 He has been the testimonial of Lyon Vintage Show and President of the Commission who prized the best stands of Vintage experts. Winners have been: "Sofa" and "Yvo Deprelle" among the French and "Angela Eupani - Sculture da Indossare" among the Italians.